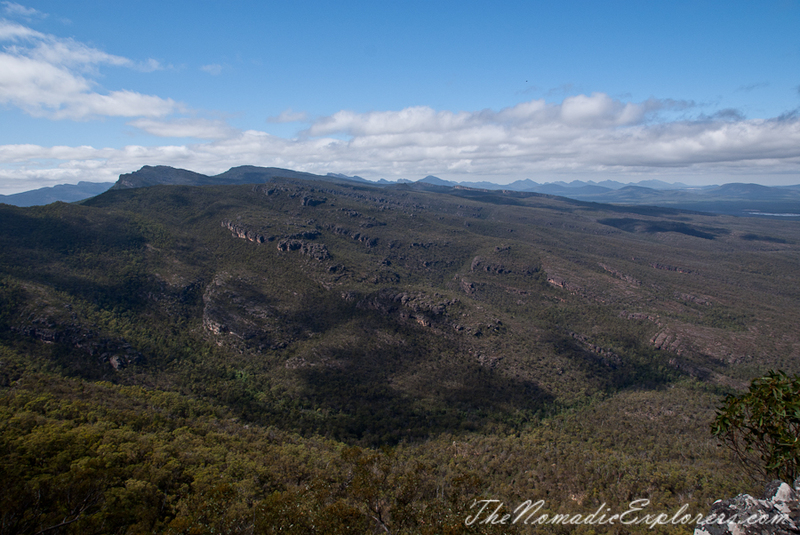 The Grampians are a series of five spectacular sandstone ridges running north to south with steep and craggy slopes on the eastern side and gentler slopes to the west. They are the result of earth movements lifting and tilting the hard sandstones to create an impressive landscape of peaks and valleys. 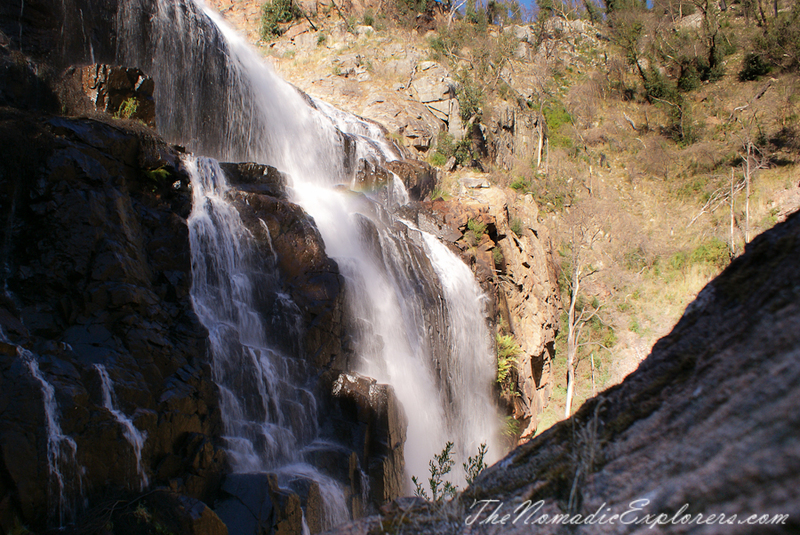 There are lookouts with stunning panoramic views as well as a number of impressive waterfalls. You can spend weeks exploring this beautiful region: bushwalking and rock climbing, fishing, canoeing or learning more about the history, aboriginal rock art and culture of this region at Brambuk – the National Park and Cultural Centre. However, not everyone has that much time. 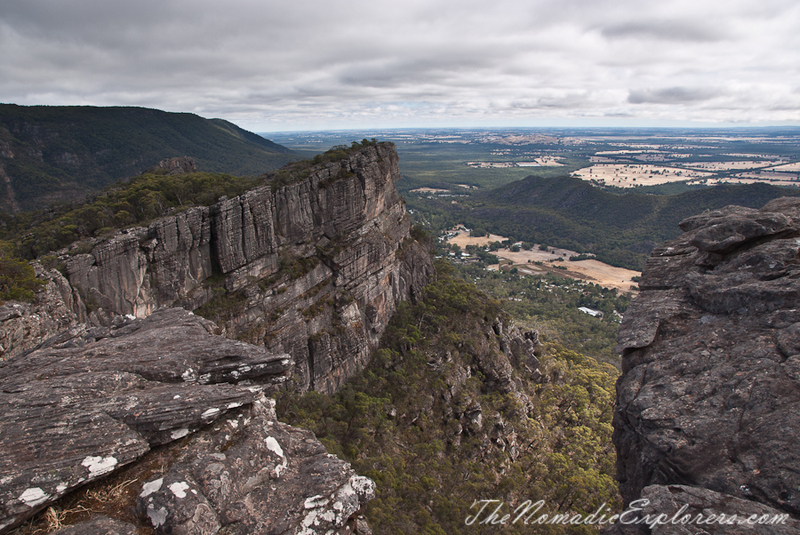 The Grampians region is usually visited by tourists on their way from Great Ocean Road back to Melbourne as a part of Great Southern Touring Route. So it always come to the question: “If I have only one day what would you recommend me to see?”. Frankly saying, it is hard to tell what exactly should be in your list. Some people love walking and it is not a problem for them to walk 2.5h walk to the Pinnacle and back. Some other with young kids might say that they’d prefer to visit lookouts and watch wildlife and not to walk that much…. However, there is something for everyone and here is my list of best points of interest (mostly easily accessible). Great views overlooking the Victoria Valley. Follow the path around the gate and along the sealed road to the summit of Reeds Lookout (100m return walk). From this magnificent lookout you will receive breathtaking views over Victoria Valley, Victoria Range, Serra Range, Lake Wartook and the Mt Difficult Range. Allow 30 minutes to 1h to walk 1km easy walk to the Balconies lookout. 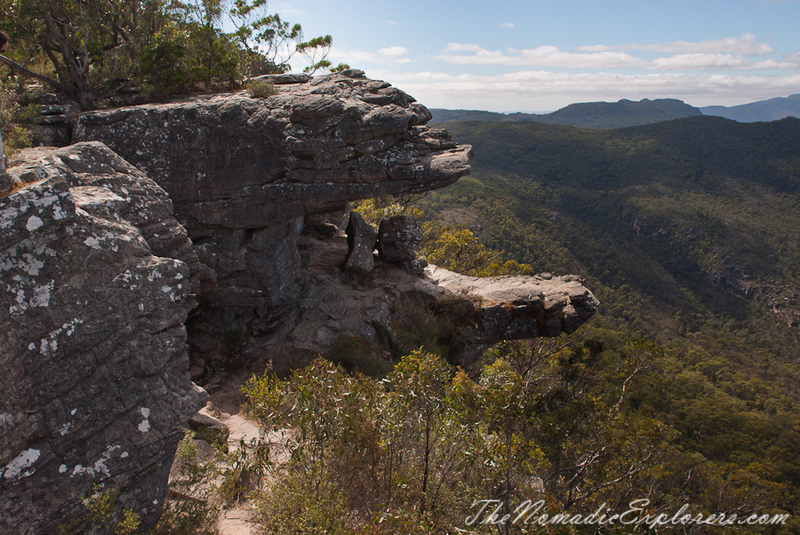 The track climbs gently from the carpark, through rock outcrops and a stringybark forest to the Balconies lookout. From this lookout there are panoramic views over the Victoria Valley. 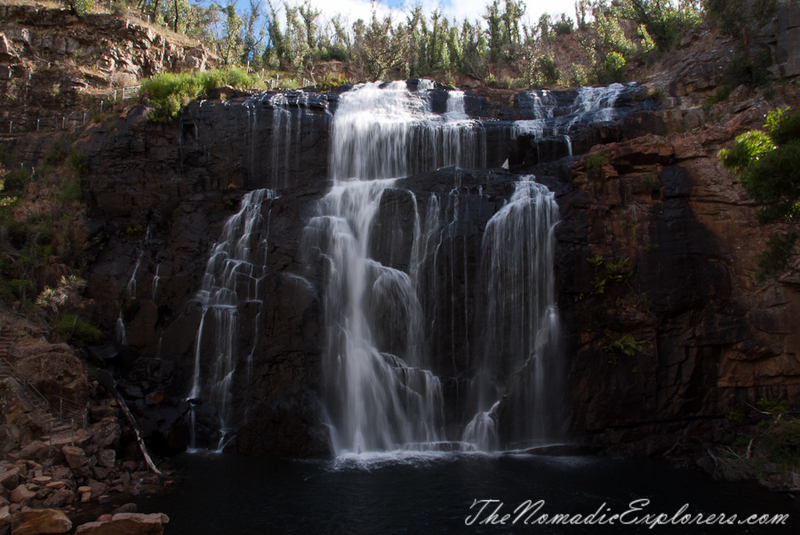 There are two walks there: MacKenzie Falls Lookout Walk (1.9km return, 40 min) and MacKenzie Falls Walk (2km return, 1 h 20 min). From the street, The Pinnacle appears unnervingly high and potentially difficult to walk. 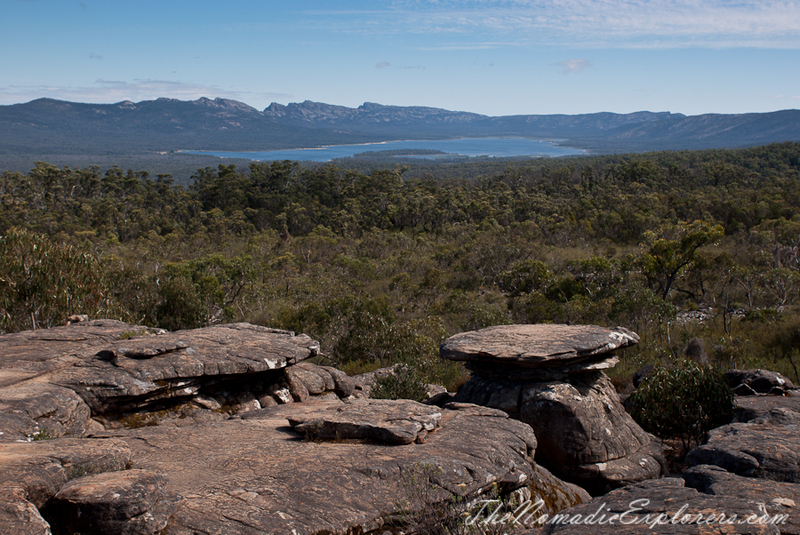 The good news is that it is not, and the views from the lookout make every bit of effort worthwhile. 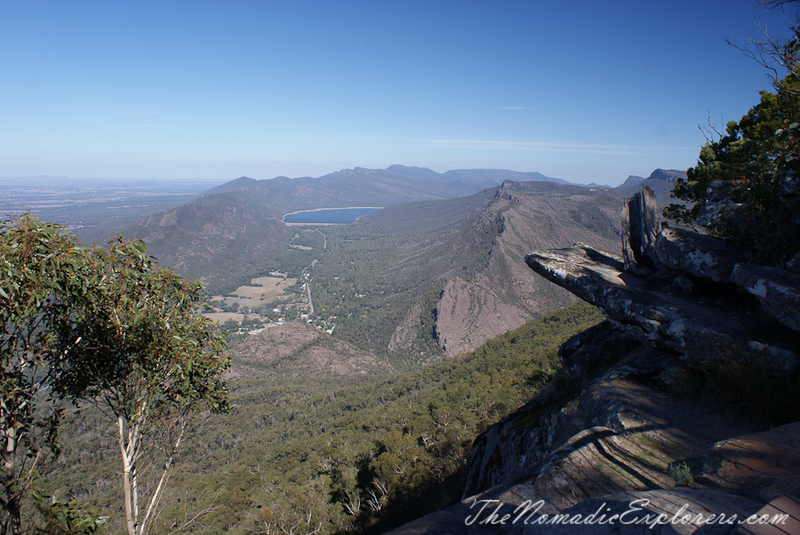 It is one of the very best vantage points in the Grampians National Park for terrific scenic views over a vast expanse of western Victoria. There are a number of walking options to reach the Pinnacle, varying in distance and difficulty. 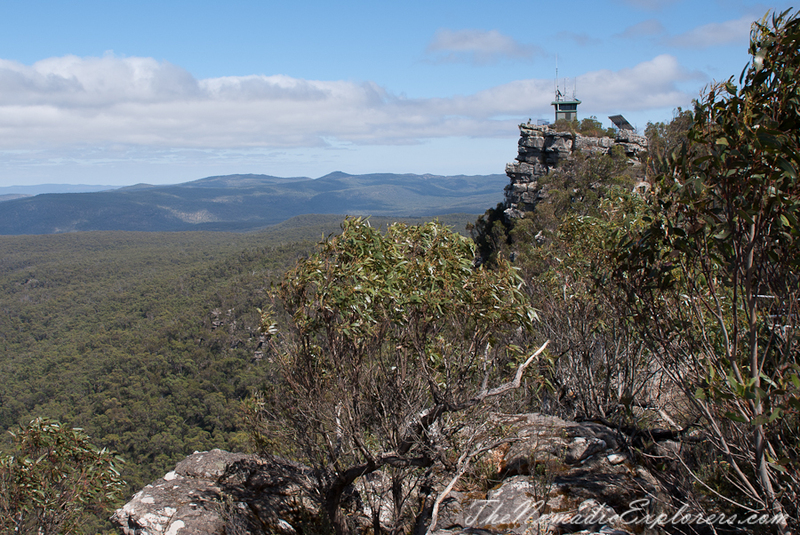 If you feel that the Pinnacle Lookout is not for you, visit Wonderland Grand Canyon Loop walk. 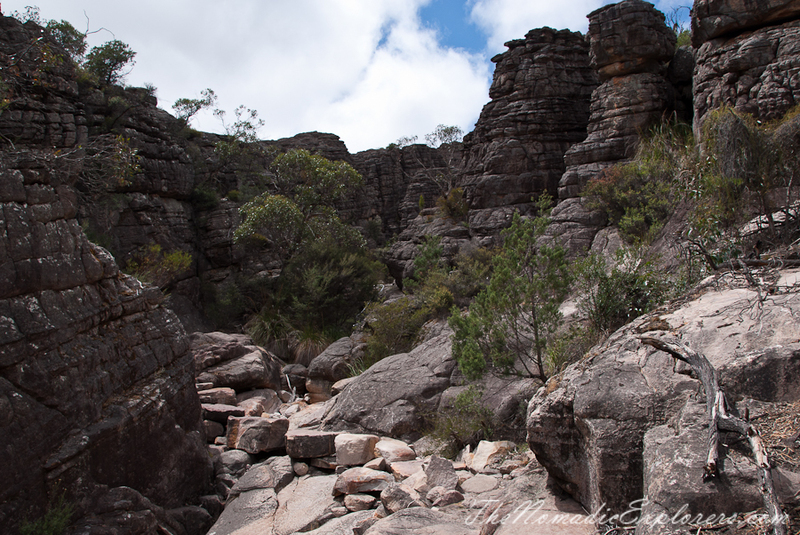 This short (900m) circuit track is arguably one of the most interesting walks in Victoria - especially for kids who will love bounding along the rock platforms, up the steps and above the ravine which runs down to the creek. Not for those with ancient knees, the walk is nevertheless pretty accessible, with solid handrails strategically placed to guide you along. The walk follows across the rocks and into the ravine - which while not on the scale of its American namesake, is still very impressive - before it climbs out of the gorge for beautiful views and then makes its way back down to the car park. Start exploring by visiting Brambuk the National Park and Cultural Centre, where you will discover the Park's exceptional environment and Aboriginal Culture with many informative displays. It is there that you will be able to find more information about the parks walking tracks including; Reids lookout, The Balconies, Boroka Lookout, MacKenzie Falls, The Pinnacle and other attractions in the National Park. 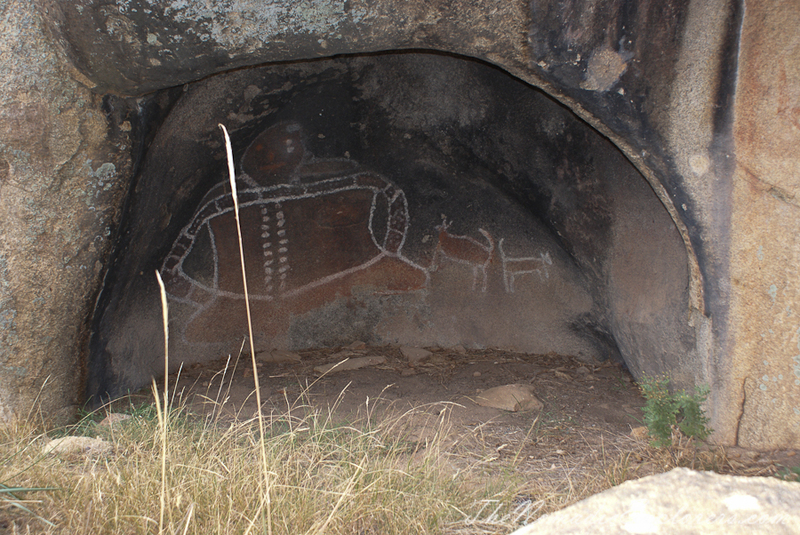 Whilst there, visit the Gariwerd Dreaming Theatre and discover more about the cultural heritage of the Park. Afterwards you can sit and relax in the café and browse the many souvenirs that are available. You will be amazed by the varying species of mammals, birds and reptiles kept at the largest regional zoo in Victoria, The Halls Gap Zoo. The grounds and enclosures are all maintained to a very high standard and all are clearly labelled with new signage and information boards. Over 150 species call the Halls Gap Zoo home, there are meerkats, giraffes, deer, kangaroos, koalas, tasmanian devils, snakes, crocodiles, turtles, ducks, owls, monkeys and the list goes on. The Zoo is open every day (except Christmas Day) and there are opportunities for getting ‘up close and personal’ with some of the animals as well as being able to feed them. The region has the largest number of rock art sites in southern Australia – more than 80 per cent of Victoria's rock art sites. Approximately 60 art sites, containing more than 4,000 different motifs have been identified in the national park. Five shelters are open to the public and are all easily accessible: Manja and Billimina shelters in the Western Grampians, Ngamadjidj and Gulgurn Manja shelters in the north and, one of the most important sites in Victoria, Bunjil's shelter, near Stawell. 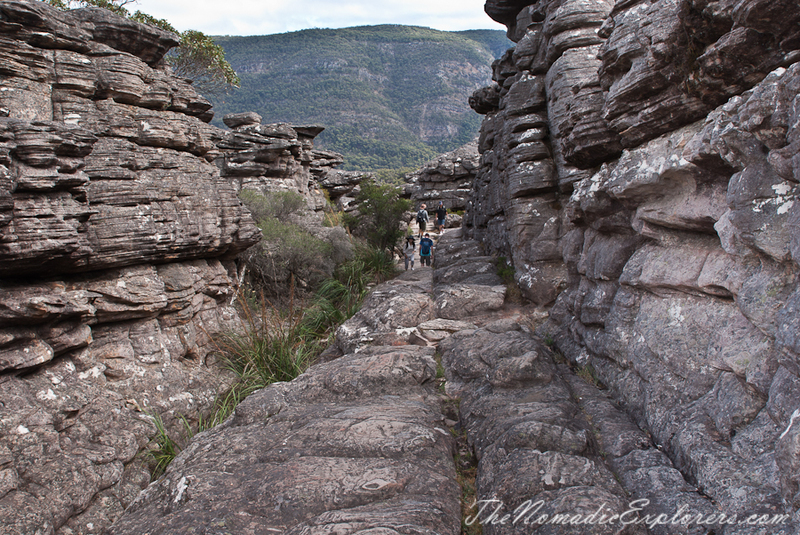 You could spend a week taking in all the lovely short walks the Grampians has to offer, and still only scratch the surface. There is something for everyone, from flat walks beside rivers and lakes, to vertiginous scrambles up high mountain peaks. Halls Gap makes a perfect jumping off base, with all sorts of accommodation available and kangaroos jumping down the main street just to keep you on your toes (no, really)! For those busy travellers who don't have time to plan their trip we created a mobile app 'Grampians National Park in 1-2 Days'. This app has all information that you need to go to the Grampians National Park: main points of interest and their coordinates, trail maps, hitns, tips and other additional materials with heaps of recommendations how to adjust the route if you have kids / love hiking / have some special needs / etc. The app is availiable here: https://play.google.com/store/apps/details?id=com.darkduck.letsgotoau.gr... , so stop reading and go to the Grampians! You'll be so glad you did!